The inspiration to write this article was our interview with Mike van Rossum, a blockchain developer and the creator of Gekko, an open-source Bitcoin cryptocurrency trading bot. If we try to predict the nearest future of finances, we shouldn’t throw away the probability of its complete change and difference from modern state of things. The change is happening now. It’s enough to simply retrospect the trading branch. With the rise of the age of digitalism, every part of buy-and-sell process is shapeshifting with the incredible speed. There are its benefits but also there are the drawbacks. Now, apart from fiat money, we also have virtual assets, cryptocurrencies. They’re rapidly becoming the inalienable part of our financial side of life. To stay competition-capable you have to constantly review and enrich the product’s functionality. One of such ways to innovate the mobile marketplace app is to provide the opportunity to pay with cryptocurrency. Here, we’re going to consider its benefits, drawbacks and how to accept Bitcoin payments. Let us first state the reasons by means of cryptocurrency numbers and statistics. Let’s consider 3 major segments in this field: number of digital wallets, exchanges and payments made with cryptocurrencies. In 2016, the share of consumers who decided to pay with cryptocurrencies on the daily basis in Eastern Europe was 11%. Another, statistic is taken from Blockchain.info, one of the most popular digital wallets out here. It counts nearly 100+ m of transactions. The 2017 Global Cryptocurrency Benchmarking Study, tells us that there were 5.8 m users of cryptocurrency wallets. 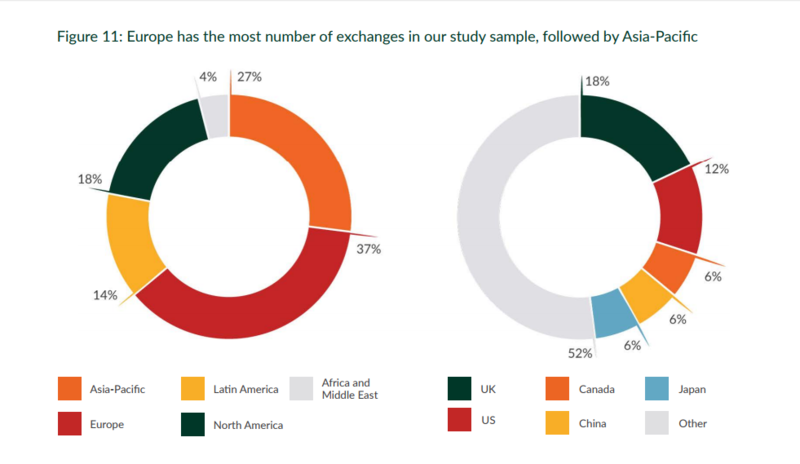 Nearly 37% of 51 exchanges based in 27 countries polled are European-based. 52% of payment companies-respondents provided merchant services. 19% of payment organizations provided B2B cryptocurrency payments. As the research states, exchanges organizations hire the largest number of employees in comparison with other cryptocurrency sectors. The average business (B2B) payment has a transaction size of $1,878, whereas P2P transfers ($351) have higher average transaction sizes than consumer (C2B) payments ($210). By implementing bitcoin and altcoins payment integration, you can draw new segment of target audience to your marketplace business. Following this, you can gain a win-win strategy approach - provide an opportunity for your customers to pay with digital money which is safe and fast, and gain revenue. This results in lower transactions fees and instant assets receiving, since you perform a peer-to-peer transaction. The tech world is heavily influenced by trends. Getting recognized is just a matter of how fast a product will catch a certain trendy hype and implement it. The same is with blockchain. Everything new is the road to changes, which can be sometimes painful but at the end it might open up the new profitable ways to engage your marketplace platform in. Using cryptography method hashing, it’s almost impossible to hack the data contained in the transactions and payments operations. Further in the article we describe the matter of blockchain system security. You can start pioneering in the the new marketplace business economy model which depends less on the 3rd-party services and is open-source, more secure (yes, these 2 words are paired together) and open to the new opportunities. The blockchain technology has proved itself by creating the atmosphere of more secured transactions operations by means of cryptography, hashing and timestamping. The technology is decentralized, based on peer-to-peer network and heavily depends on ‘blocks’. The recorded transactions data can’t be modified without the alteration of other ‘blocks’ which participated in the transaction operation. According to Mike van Rossum, in the nearest future, we might use blockchain-based secured technologies for finance, healthcare and governmental organization (voting, financial aid). The most widespread security option among the cryptocurrency-related organizations is two-factor authentication (2FA). It’s offered to customers by the majority of exchanges and is required for employees for most operations. As it comes out from the whole bundle of stats provided, we live in the era, if roughly, of two types of assets: national currencies and cryptocurrencies. To enhance the product’s financial climate, we have to find the ways to get the most of both categories. 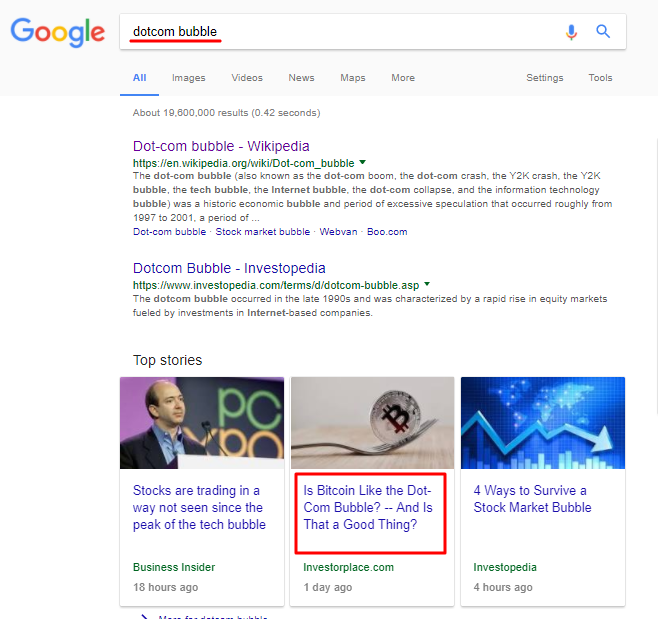 As Mike van Rossum stated, there’s a possibility of the ‘bubble’ effect, just like dotcom hysteria at the beginning of 2000-s. People tend to overthink (overdream) expectations, and some of them, if not most of them, may not be brought to life at all. Just for you to understand. Are people already starting to suspect something? Hmm ? Read how Jose Mario Macedo, cofounder of Kaizen Academy contemplates whether the mainstream over cryptocurrency is similar to the ‘bubble’, like in 2000s’ dotcom bubble. Another danger to be conscious of is the cryptocurrency volatility. At the beginning of December 2017, Steam decided to stop accept bitcoin payments , because of its instability which causes high fees and unpredictable losses. How to accept cryptocurrency/Bitcoin payments? Coinpayments - integrated payment gateway, supports 105+ cryptocurrencies, offers API integration and plugins for such shopping carts, like WooCommerce, Opencart, Prestashop, Magento. Etc. Coingate , another cryptocurrency payment gateway, draws 1% of fee, offers integration via API, e-commerce platforms plugins, and with their own Bitcoin POS mobile apps. As we can see, it’s only a matter of several-lines-of-code to start accepting cryptocurrency as a payment for your B2B, B2C or C2C marketplace platform project development. Aim for knowledge, get to know the trends in your field and integrate with the reliable new technologies only to feel the benefit of win-win approach. Be a dreamer but don’t overdo.